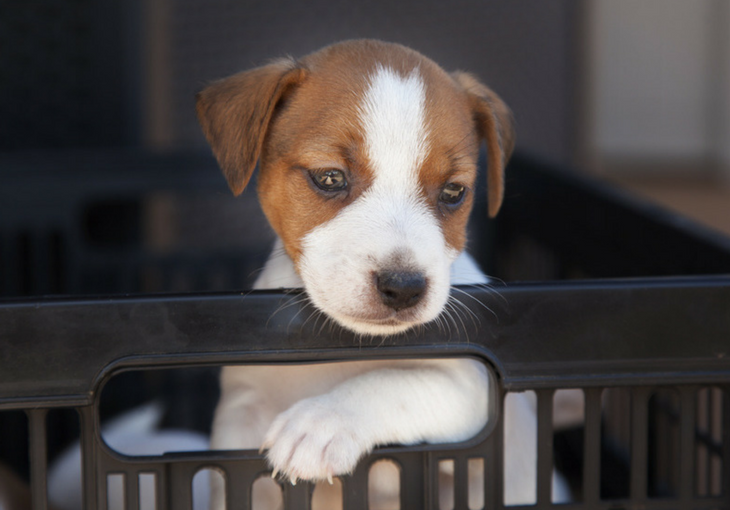 A crate can be a tremendously useful and rewarding tool to use for you as the dog owner, and for your puppy. However, if done incorrectly crate training a puppy can be disastrous and could be looked upon by your dog as punishment, and not as their safe haven. Crate training puppies does take time and work, as well as patience, but if you do things the right way the first time, then you will begin to reap the benefits early on. Let’s have a closer look at a few things before we get into the actual section of how to crate train your new puppy. 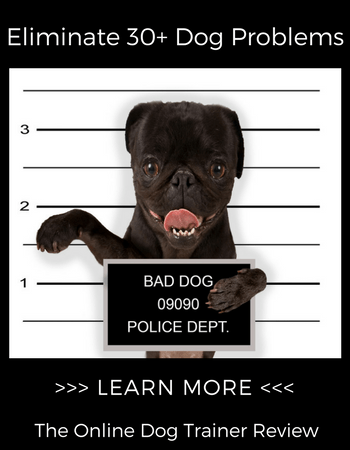 Now, it’s important to keep some things in mind when you are crate training your dog. When you look at a crate, be honest with yourself and answer this question – What does it look like? In all honesty, it looks like a cage. You don’t want your dog to see their crate as a place where they go as a form of punishment. One of the worst things you can do (and if you have, all is not lost!) is to shove them in and lock the door shut. Any type of forcing and enclosing them in as they cry WILL NOT help in crate training your puppy. All this will do is serve as reinforcement that they are being punished. What you do want is for your dog to see their kennel training as a fun thing. Let’s put this in relatable terms. When you think of children and their rooms, they are really like a big crate. Stick with us, we know it sounds funny and weird, but trust us and you’ll see. Now, if you were always forcing them into their rooms, forced them to go in there when they misbehaved and locked them in there when you left the house, what do you think they would do? That’s right – they would probably scream and yell to get out, and try to break out through that door. Your dog will bark and yell, and ALSO try to break out. What if you allowed your children to gradually get used to going to their rooms, leaving them fun things to do in their rooms? Closing the door for longer periods of time, increasing the duration over time until they got used to it. Now, imagine that you did this until they got used to it, and didn’t make a big deal or fuss when you left the house, simply closing their door when you left. Then upon returning to the home, you didn’t make a big deal about seeing them. Do you think they’d likely stay in their rooms? Yeah, now you are getting the idea. Some dogs will take easily to the crate and will enter and stay there for longer periods of time, and adapt to it faster than other dogs. It honestly depends how long it will take. What’s important is that you stay as patient as possible and not try to force them during this training process. When you get forceful and impatient, what you may find is that your dog will see their crate as a form of punishment. Once they start to view their crates as a place they go when they are bad, then guess what? Yeah, they won’t want to go in there and won’t want to stay in there for very long. How Big of a Crate Should You Get? You should get a crate that is big enough to accommodate their size. Your dog should be able to get up, stand up and turn around easily in the crate. However, it shouldn’t be too big that you are finding that they can relieve themselves on one side, and then walk over to another side to go to sleep. They shouldn’t be associating their crate as a placed to go to the potty. If your dog gets bigger, then you will need a bigger crate to accommodate them. There are some places that will allow you to rent a crate, which will give you the opportunity to get a bigger one and trade up as your dog grows. If your dog is at their full size, then buying your own crate will do. Phase One - Hello Crate! During this phase, you will be introducing your puppy to the crate. This is a time when you will need to exercise extreme patience. Your puppy will naturally be curious about what this mini structure is. Place something nice and comfortable in the bottom of the crate for your puppy to lie down on, perhaps his or her favorite blanket. Also be sure to leave the door off or open on the crate. You want this open to ensure that they see it as a safe place. You will eventually be closing the door, but for now all you want to do is get them used to going into the crate. As we mentioned earlier, you may be one of the lucky ones with a puppy that takes to dog crate training quickly. You just may find that some treats and toys will be enough to lure them into the crate. If you are at this point, then you can move on to the next phase, however, if you are not then you will need to keep introducing them to it. Make it a pleasant experience for your puppy, so be enthusiastic when you are talking to them about going in. DO NOT SHOVE OR PUSH YOUR DOG IN. Yes, we typed that all in caps because it really needs to be emphasized. Many well meaning dog owners during this phase can be impatient, and try too hard to get their puppy used to the crate. This is dangerous, as they will see the kennel as punishment. Leave a trail, if they won't go in the crate, then leave some goodies and treats nearby. You can even try leaving a trail towards the crate, then putting some treats inside the crate to get them to go in. Once they are able to walk in and out of the crate on their own, you can start the next phase of introduction that calls for them to “hang out” in their new digs. When your dog realizes that this kennel training is really to get them used to their new safe, cool and fun “room,” then they will start to see this as a place they want to relax in for longer periods of time. Phase Two - Let's Chill! Now that they have gotten used to actually going into the crate, what you will do next is ensure that they see this as a place they can really hang out in. Place one of their meals in the crate and let them start to eat in there so they get even more used to the environment. If they aren’t going into the crate, then you can try another step, which is to start their meal times near the crate, so that they start to realize that this is their own pad, that this is their own cool room. When they are able to get comfortable eating near their crate, you can now place the meals inside of the crate. Don’t force the issue though. If you find that they are not going inside to eat, then pull their dish closer to the entrance to a point that they ARE comfortable in entering and eating. Again, be patient. As they begin to get more comfortable, start pushing the bowl further and further back into the crate with each meal, until they are fully inside of the crate and eating. Now that you have them eating their meals inside of the crate, the next thing you need to do is get them used to staying inside of the crate with the door closed. Don't close the door right after they walk in to eat, what you will want to do is let them get settled and then when they are eating close the door. Don't slam it shut to scare them, just close it. When they are done eating, then you can open the door and let them out. You will progressively do this until they begin to get used to eating and having the door shut for longer and longer periods of time after they finish their meals. Keep in mind the comfort factor. If you leave that door closed too long too quickly, then they may start to whine. For example, if you just got them used to eating in the crate and opened the door right after they ate their meal, then on the next meal left them in for 15 minutes after they ate, then you may have increased the time too quickly. You will have to start over and reduce the time, then gradually increase it. Remember that this crate training process is about your puppy’s comfort, not your own. It’s also important not to teach them behaviors you don’t want, inadvertently. For instance, if they start to bark or whine, don’t let them out right away. The reason why you shouldn’t is because it’s a patterned behavior that you are teaching that says a) if I cry, then b) they will let me out. Don’t teach them this behavior. Now that they are going into the crate voluntarily during meals, crate training a dog now kicks into full gear. At this phase, you will need to do some testing and tweaking. What we mean by that is you will need to get them to go into the crate and leave them in there with the door closed for short periods of time. Again, you need to be patient and adjust the lengths of time and increase the lengths of time during each stay in the crate. The hope here is that they will start to see this as their safe place where they are able to hang out and relax for long periods of time. Remember the example we used earlier of the child and his or her room? Once a child sees their room as a safe haven to hang out in, it can get difficult sometimes to get them to leave. This is the point you want to get your dog at, not that they never want to leave, but that they go in and stay in voluntarily. Note: While we are talking about staying in rooms too long, it's important to note that you don't want the same thing to happen with your puppy training crate. Don't let them stay in the crate TOO long as you can run into other issues like a lethargic dog. ​At this point you should be able to leave your puppy in the crate for short periods of time. If you will be crating your puppy when you leave the house, then its important to do some further training that will involve you not letting your puppy know when you are leaving, and when you are staying. Well, for starters if your puppy knows your routine of when you are leaving, then they may get hip to it and NOT want to go into their crates. Phase Five - Mix it Up! 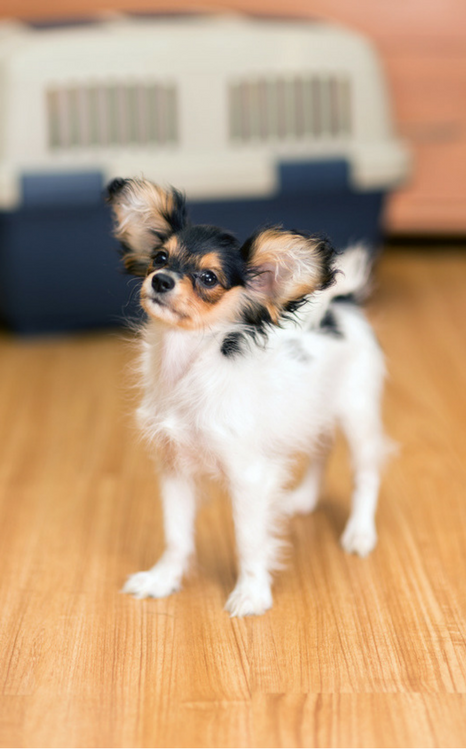 You may want to crate your puppy when you leave the house, but what you don’t want to do is get them into a routine of knowing when you are leaving. One of the things you can do to avoid this is to randomly crate them while you are at home. What this ends up doing is not signaling to them that you only crate them when you leave the house. What you will also want to do is NOT signal when you are returning as well. It’s natural reaction to make a big fuss when you come home from work and see your puppy. Well, if they are in a crate and you excitedly let them out and make a big deal out of seeing them, then you may be setting yourself up for more harm than good. What happens in this situation is that you will find a puppy that gets anxious when you return and perhaps anxious in general when it comes to crate training. If you follow these five phases, stay patient and remember that crate training a puppy is all about their comfort and not yours, then you will be much more successful in this endeavor. Now before we go, what we want to address is an area that is very relevant to crate training. You want a good night’s sleep. What you don’t want is to have to get up and clean up the mess your dog made from tearing up the furniture or chewing up your shoes. This is why some dog owners choose to crate their dogs during night hours when they go to bed. There are some things that you will need to keep in mind when you do this. One of the things is knowing when their cries to be let out are from actually having to use the restroom, OR because they are upset and want to come out. The other thing you need to take into consideration is your frustration level when this occurs. You may think that yelling at them or hitting the side of the crate with loud commands will work, but honestly this is just from being frustrated. While crate training can be beneficial for many different reasons, it can be trying and a tiresome task. Remaining patient and loving even if you don’t feel like it. This is all about your puppy’s comfort and not your own. Don't force the issue or allow them to see their crate as punishment. If you can remember those three things as you proceed through the process of crate training a dog, then it will make things much easier AND make your life less stressful. Who knows, you just may be one of the lucky ones whose dog takes to their crate quickly, but if not, love them anyway – they are totally worth it. ***If you have any further questions or comments on how to crate train your new puppy, please let us know in the comments below!